The 25mg CBD capsules from Premium Jane relieve pain, inflammation, sleep-related issues, anxiety, and day-to-day stress. Buy these 25mg CBD capsules to soothe sore body parts and get some well-needed relaxation. The 25 mg cannabidiol dose offers a high potency for increased vitality and therapeutic effectiveness. The capsules are tasteless, hence good for those with taste sensitivities or those who have difficulty administering sublingual CBD oils under their tongue. The 25mg CBD Capsule has been tested and approved to deal with the following medical conditions. · Inflammation: This condition is characterized by redness, swollen joints that may appear warm, joint pain, joint stiffness, or loss of joint function. Researchers argue that CBD interacts with brain systems and creates an anti-inflammatory and painkilling effect. The 25mg CBD capsule is an anti-inflammatory agent and is effective in reducing these conditions. · Muscle pain: After exercising, your muscles will have tension. Muscle pain can also be a result of minor injuries or even stress. All you need to do is to swallow the pill with a glass of water. The body ingests the capsule and absorbs the CBD from it. The cannabidiol in turn stimulates the brain, which relieves the muscle pain. Always keep a 25 mg CBD capsule close by to relieve yourself of any muscle pain. · Sleep-related issues: This medical condition is also called insomnia. Sleep-related issues include difficulty sleeping, interrupted nights, waking up early, and feeling tired upon waking. CBD has the ability to reduce anxiety, which can be helpful in reducing sleep difficulties and improving sleep quality. Buy the 25 mg capsule to overcome any sleep related issues. · Anxiety: Do you feel extremely fearful or worrisome of an upcoming event or meeting? Well, this capsule offers a relaxation that can relieve you of any anxiety. Carry with you a 25 mg CBD capsule to overcome anxiety whenever you experience it. · Day-to-day stress: Mood swings are common conditions that arise from day-to-day stress. They also arise when you are experiencing particular difficulties in life. Buy the 25 mg capsule to overcome mood and stress. Quality: The 25 mg CBD Capsule is lab-verified for CBD content, potency, and purity. It is responsibly grown on organic hemp farms and extracted using state of-the-art low temperature carbon dioxide equipment. Effect: Though not a medicine as such, these capsules have been shown in clinical studies to have pain reducing properties. Simply place one capsule in your mouth and take it with a sip of water and swallow. The capsule contains 25 mg of CBD, so you exactly know how much you are taking. The recommended serving standard is 25 mg of CBD capsule taken twice a day. You can contact the official website or consult your doctor if you are unsure of dosage. 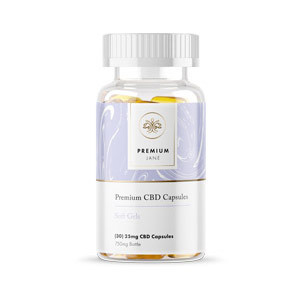 Price: The 25mg CBD Capsule is a pocket-friendly product suited for any of your health needs. It retails at only $83.00, currently down from $89.00. To order or buy CBD Capsules 25 mg online, click on https://premiumjane.com/capsules-pills/ to buy from the official website of Premium Jane. Final thoughts: The 25mg capsules are ideal if you want to experience the benefits of CBD without the taste. The 25mg CBD Capsule is just the right potency of cannabidiol to handle pain and stress. It is definitely worth the purchase. It is also an easy to measure dosing and requires no handling of liquids or plant material. Buy it online.